Abusing alcohol comes with many risks, especially after long periods of time. Repercussions can include mental, physical, and emotional complications and damage. Those who have alcohol dependence may have to deal with certain side effects of that abuse, long after they’ve stopped drinking. According to the National Institutes of Health, between 50 and 75 percent of people who were long-term abusers of alcohol and are now sober, show some sign of cognitive impairment in varying degrees. In addition to mental and emotional damage, repercussions from alcohol abuse typically includes physical complications. The Women’s Heart Organization also states that continued abuse of alcohol can lead to high blood pressure, congestive heart failure and even stroke. Of course, one of the most commonly known facts of alcohol abuse is the damage it can do to one’s liver, leading to liver cirrhosis and excessive bleeding. That being said, there is hope for many who have gone through alcohol dependency to regain much of their mental, physical, and emotional health again through treatment and recovery programs. If you or someone you know is seeking help from addiction, here's a directory of treatment centers to assist you with your search. There have been many studies done on the effects of alcohol on the brain, and there are many ongoing studies and a lot of research still happening today. One report published by the NIH shows that many people, after not drinking for several months, experience a partial correction of structural changes done to the brain. After 5-7 years of complete abstinence from alcohol, the healing continues, with the most prominent changes to the brain restored to what they were before. Nonetheless, studies show that while the majority of the damage can, and is healed, not every change that occurred is completely remitted over time. Part of what can make it so difficult to pinpoint an exact timeline for when and how much damage is restored are the numerous factors at play. Gender, genetics, length of abuse and consumption are all varying factors that may give clues as to when the brain will be restored. But with all of these factors varying from one person to the next, most studies show basic timelines and approximations based on the research and knowledge they currently have. The factors that go into resolving heart issues related to alcohol abuse are similar to the timeline for healing the brain, but studies have seen a pattern in most heart problem cases. A happy combination of abstaining from alcohol, a healthy diet, regular exercise, and stress management means that much of the damage that has been done to the cardiovascular system may be reversed within the first year of recovery. On the other hand, it’s also noted that a complete reversal of all heart damage is not fully restored over time, and that after the first year of abstaining, any resolving of damage done slows down. The damage done to one’s liver can be quite dangerous, as the liver is responsible for eliminating waste products and any other toxic substances in the body. Alcohol is metabolized before other substances by the liver, and when one consumes an excessive amount, it leads to the liver over-working itself to process it, leading to scar tissue and, in time, cirrhosis. According to a publication by Charles S. Lieber, M.D., M.A.C.P., replacing certain fats in one’s diet can lead to those with alcohol-related liver damage to recover from much of the malnutrition and damage done to the body, along with abstinence and time. The earlier one can get treatment for alcohol dependency and stop drinking, the less damage to the liver there will be and the easier it is to recover. That being said, for those who develop cirrhosis as a result of the damage done to the liver, a liver transplant may unfortunately be the only option to regain liver health. 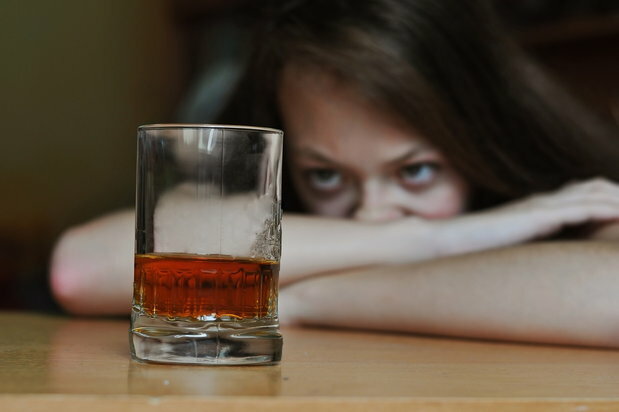 It can be extremely hard to determine an exact timeline of when social issues, such as family estrangement, job loss, and education, can be resolved, as there are an incredible number of variables involved, but one thing is clear: the longer a person abstains from alcohol, and the more invested one is in a treatment or recovery program, the better chance he or she has at improving their social life. The amount of time it can take for people to accept the changes and to move on from the past is different from person to person, but many have and continue to move forward and accept the past while not letting it dictate their future. There are many health risks involved with abusing alcohol, especially the longer one abuses it. A lot of damage can be done to both the body and the brain, leading to some pretty uncomfortable side effects. 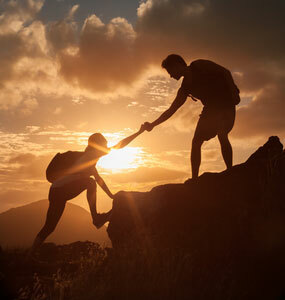 However, research has shown that by adhering to a good, solid treatment plan that works for the individual’s needs, and staying involved in a recovery program and then community therein, a person can regain much of both their mental and physical health while continuing to abstain from alcohol.